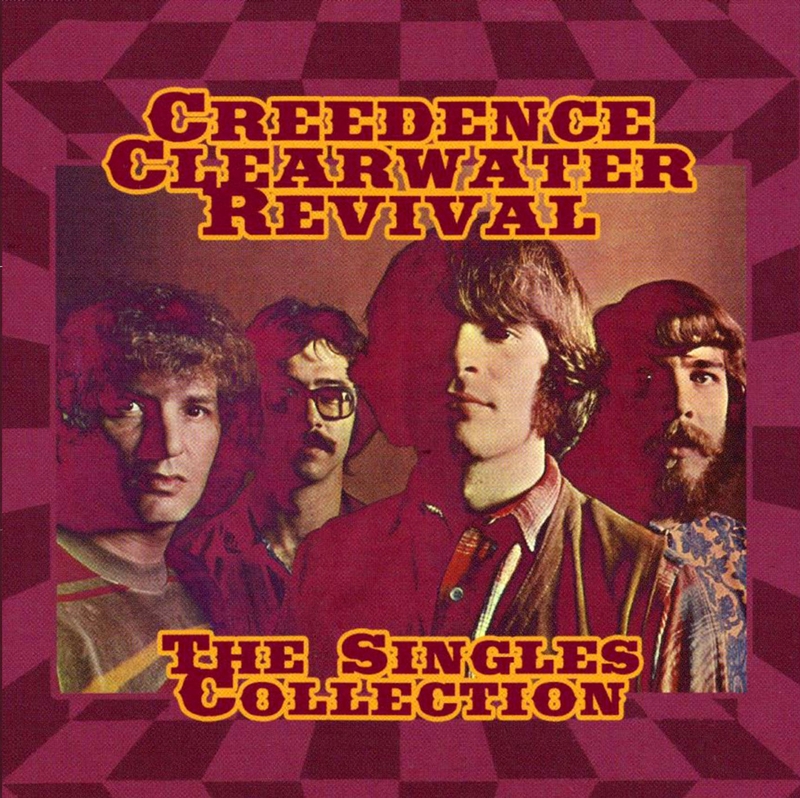 It’s time to get out of your seat and travel to your local music store as quickly as possible because Creedence Clearwater Revival have issued thirty of their singles in a new two-disc box set. Creedence Clearwater released a number of well produced, creative, commercially successful, and highly enjoyable studio albums during the course of their Rock and Roll Hall of Fame career. It was their single releases, however, that initiated and maintained their mass popularity. They placed 19 songs on The American charts from 1968-1972, and they remain some of the best known tracks in rock history. Even casual rock fans are familiar with songs such as “Proud Mary,” “Bad Moon Rising,” “Down On The Corner,” “Travelin’ Band,” and “Fortunate Son” among many others. The Singles Collection gathers all of their hits, some B-sides, and even a few rare singles that have faded from history. The album remains true to the intent of the original releases as they retain their original mixes and mostly mono sound. Early non-charting releases “Porterville” and “Call It Pretending” and late career issues “Revolutions Per Minute” parts one and two are resurrected to bookend the album. I have always found it amazing that Creedence Clearwater never had a number one hit in The United States. They cracked the top four seven times and reached number two with five of those but the top spot always eluded them. Still when you listen to their catalog of singles back to back it is one of the most powerful and enjoyable of all time. “Run Through The Jungle,” leads to “Up Around The Bend,” which becomes “Lookin’ Our My Back Door,” and onward to “Sweet Hitch-Hiker.” And that does not even scratch the surface. There are several nice bonuses included in the set. A four song DVD presents some pre-MTV promotional videos. While Creedence is a band I would rather hear than see, this short set is historically interesting. “I Heard It Through The Grapevine” and “Lookin’ Out My Back Door” have the feel of studio rehearsals, but “Bootleg” complete with dancers, and “I Put A Spell On You” in all its psychedelic glory, are nice artifacts from the past. There is a small poster which pictures 49 of their picture sleeves. I have a large 45 rpm vinyl collection and thousands of sleeves, but there are many pictured here which I had never seen. Former Rolling Stone Magazine editor Ben Fong-Torres contributed the liner notes which are contained in a 16 page booklet. I also read that the set would also be released as a series of vinyl 45 rpm records complete with reproductions of the original picture sleeves. The Singles Collection may contain previously released material, but when presented in this form it shows how thrilling and spectacular Creedence Clearwater Revival was at the height of their career. Annotation last modified on 2018-04-08 08:47 .